Defining power saving preferences are not only useful for notebooks; PCs also benefit from optimized power settings. We will explain and, help you configure your power these power options in Windows 8. What are Power Settings in Windows 8? The device that you are running Windows 8 on defines the settings; laptops, PC, and tablets, all need to be configured differently. 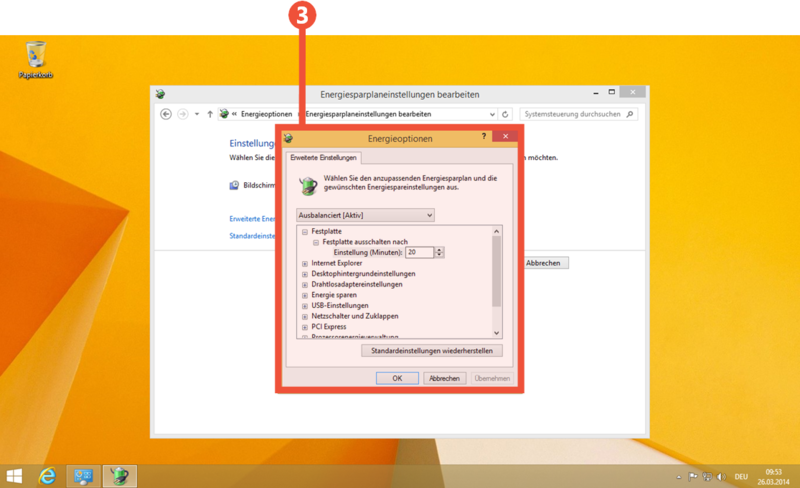 How do you open the Power Plan in Windows 8? Open the Apps Control Panel. Here is a link with step by step instructions on how to open the control panel. Once in the Control Panel, click on the “System and Security” option. Once there, click on “Power Plan Settings”. 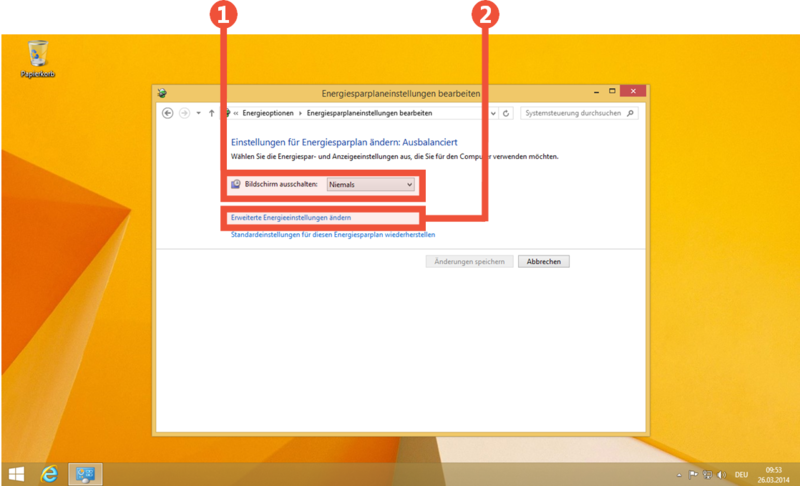 Here you can specify how long after the device is inactive to turn off the 1 monitor. Click 2 “Change advanced power settings” for more options. 3 “Power Options” has a wider selection of energy saving measures. After configuration, click “Ok” and save the changes. Your computer is now set to your liking and device’s needs. Although some options, such as the processor power management, are for more advanced users: Everyone can adapt the power of their terminal to their needs and habits with a few simple clicks. In order to stay with up to date with all things Windows 8, we recommend the DarWin8 app in the Windows Store. Start your free trial today to explore and find convenient help!